Melbourne, the capital of Victoria, is the headquarters of some of Australia’s largest corporations and the Australian base of some of the world’s leading companies. The range of industries is diverse, with particular strength in finance, manufacturing, research and information technology. Melbourne is the second largest financial services centre in Australia. The economy is supported by the nation’s largest and busiest seaport, the Port of Melbourne, world-class universities, a State government focused on facilitating trade with Asia, and population growth eclipsing that of the largest cities of the world. 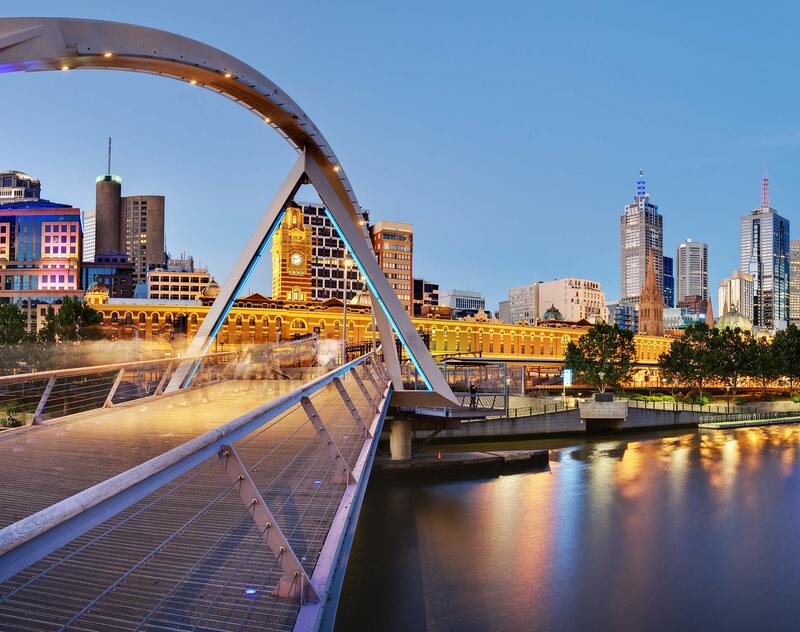 Capitalize on the opportunities and call on the experience and connections of our locally respected Melbourne team and a firm that has held an enviable reputation in the Australian market for almost 90 years. Draw on the team’s successful track record in banking and finance, commercial litigation, mergers and acquisitions, restructuring, corporate and commercial transactions, and employment and safety. Rely on their acumen in assisting lenders, borrowers, sponsors, credit enhancers and leverage their extensive contacts throughout the banking and finance sector. Secured or unsecured, refinancing or acquiring with leverage or using the debt markets as a supplier of finance, they have done the lot. Sound out the ideas of a team that has engineered innovative solutions for mergers and acquisitions, private equity injections, and fundraising. Work with a team that understands local and international markets and offers particular support to clients doing business in the Asia Pacific and Middle East. Directors of ASX-listed companies are coming under increasing scrutiny, particularly in the area of continuous disclosure. And, with the risk of shareholder class actions, getting continuous disclosure right is a key issue for boards. Dentons has hired well-known corporate and mining law expert John Mollard to join its Corporate team in Melbourne. Dentons has advised the Wheatsheaf Group, a global investment fund, on a significant acquisition in the agricultural technology sector in Australia.